"In January 1942, a handful of German submarines, called U-boats (short for Unterseeboot), cruised toward the American shores, ready to change the dynamics of the war that had been under way in Europe for over two years." "THE CURIOUS CHARMS OF ARTHUR PEPPER is an adorable, enchanting, uplifting read. Be prepared to fall in love with Arthur Pepper." Review and Giveaway on May 4. Take a look at this post for more information about the book. 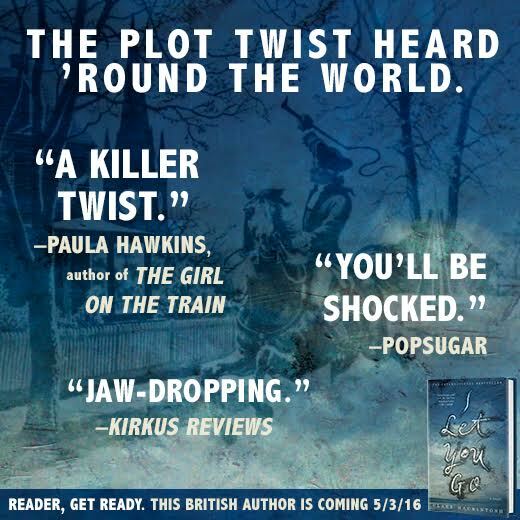 Review will be May 10.
Review and Giveaway will be May 9. 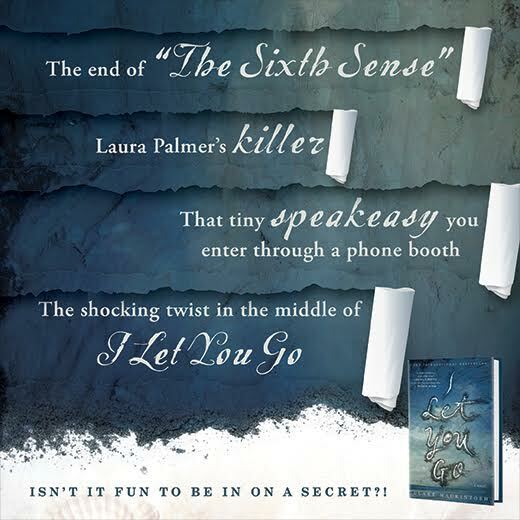 I LET YOU GO by Clare Mackintosh has a secret that everyone who has read the book will be talking about. I read it, and am a member of the club that knows the secret. 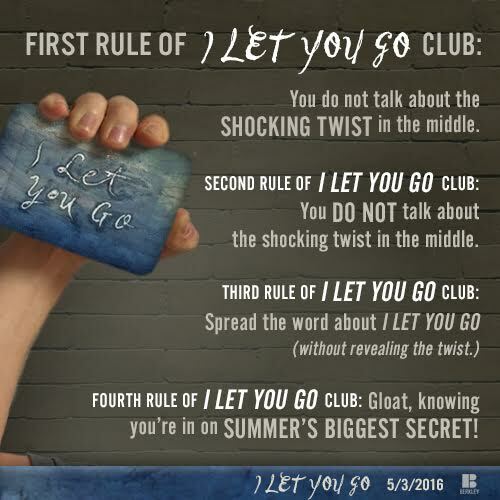 Are you a member of the I LET YOU GO club? 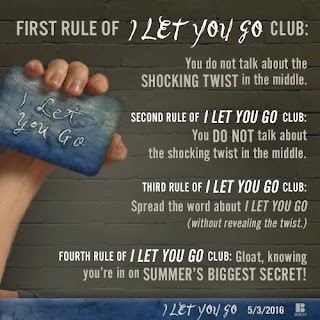 My review of I LET YOU GO will go live on my blog on May 10.
Who was the other person in the car with Joe? Why was a million dollar insurance policy taken out not even a month before the accident? We meet Joe, Samuel, Karen, Dorrie, ​Edward, ​and Maggie. Husbands and wives who were not faithful​, Joe's boss, and an insurance agent who used to be a policeman reviewing the life insurance policy. 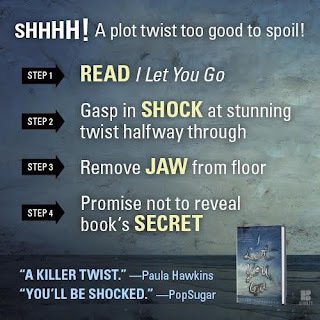 ​After Joe was killed in a car accident, the tension builds, the characters show their true colors, and secrets become revealed. THE OTHER WIDOW is definitely a page turner with the reader questioning who might have been at fault for the accident and if the characters were as honest and upright as they made themselves appear especially Edward. THE OTHER WIDOW kept me wondering what was up with the characters and how they played into each other's lives. As you follow the characters, you can't help but become more involved in the story line and their lives. 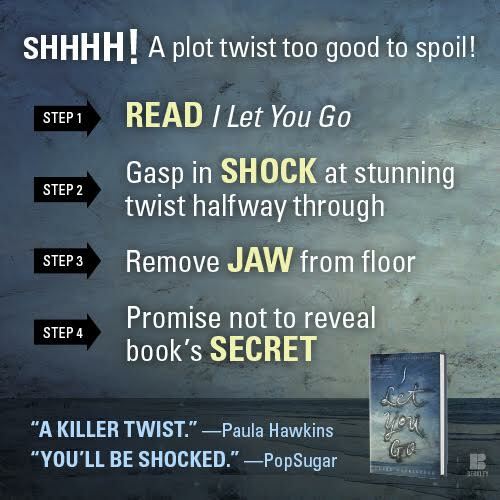 I really liked the book and had a difficult time putting it down. It was mystery and women's fiction rolled into one marvelous read. The story line was predictable, but overall THE BLUE BATH is a thoughtful, introspective book. 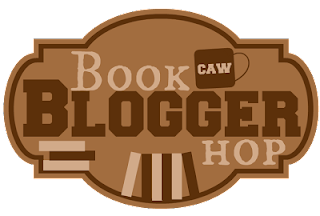 Review and Giveaway on May 9. Doesn't this book look adorable?